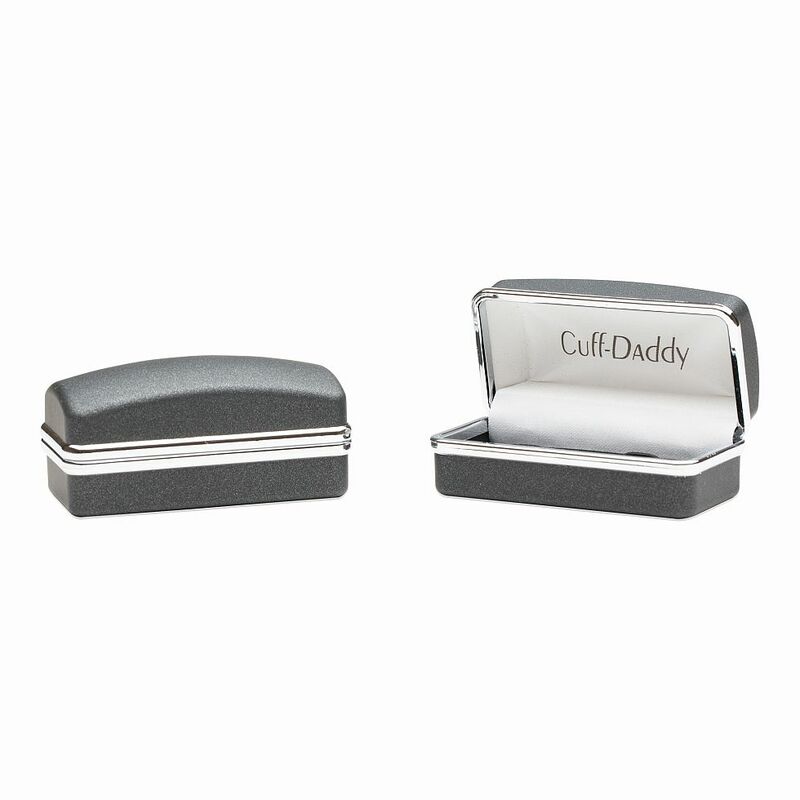 Get all the different blues into your look with this one set of cufflink accessories. They're square with a silver rim. 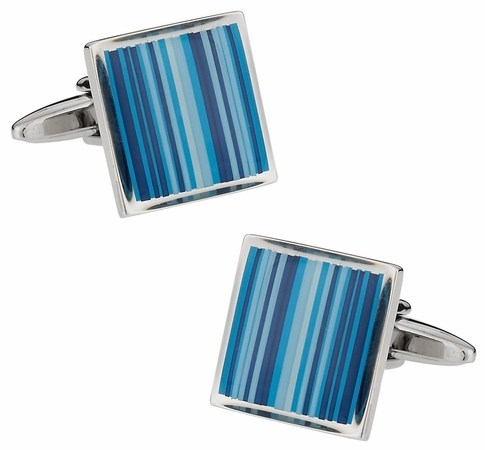 These cufflinks are heavily striped with a bunch of different blue shades. For someone who loves blue they're perfect. For someone looking for an accessory that will match that blue shirt, they're perfect. 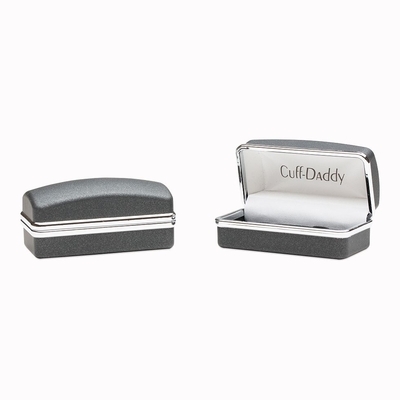 These cufflinks are built to last and are made from a durable enamel material. They resemble a body of water in appearance, and are certainly something special to consider for that next gift you want to give out. They're absolutely exquisite when worn with a dark shirt, and that's just what you should do with them!